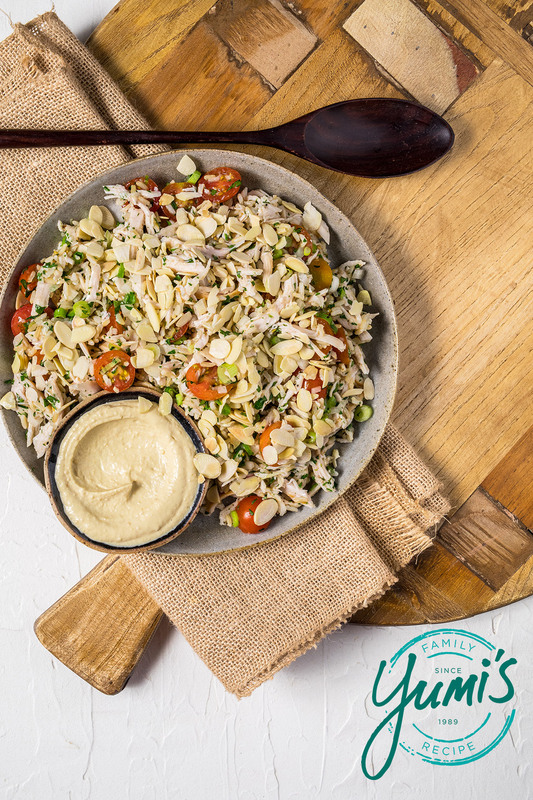 Combine rice, parsley, shallots, tomatoes, onion and chicken in a large bowl. Mix well. Whisk together the lemon juice and olive oil. Season generously with salt and pepper then pour over the salad, add half the almonds and toss to combine. Transfer to a serving bowl/platter then sprinkle over the extra almonds. 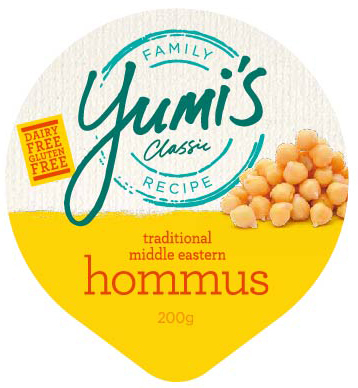 Serve with Yumi’s Traditional Middle Eastern Hommus.